A big thank you to everyone involved especially The Moomba (venue), Pixel Ed (design), the contributors and the media for their kind support. Here's more info on the 13 photographers involved. Alexandra Jen Wong is a Secondary 4 student from the Singapore Chinese Girl’s School. She received her camera as a Christmas present and has been experimenting with it since. She spends most of her time enjoying the company of her cat, Whiskey Jose, and her dogs. Ashley Choo was a writer but currently attempting to get back into the writing industry and so in the meantime, whiling away her time being a hobbyist photographer. 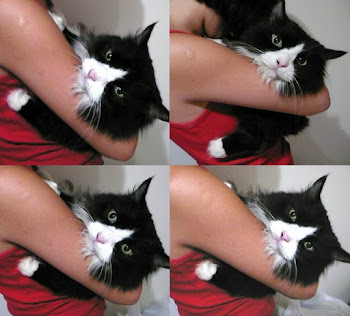 In the event of a fire, the first things she will grab is, depending nearest object, her cat Baileys, camera and laptop. Barnie Leow is a professional photographer and an avid fan of things feline. 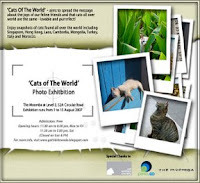 Many of his photographs are feature in “The Real Singapore Cat”, a publication of the Cat Welfare Society. His other photographic works have also won honourable mention at international awards. 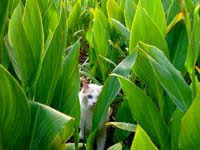 Visit www.photonx.net/catsdo.html for a sneak peep into his 18,000 photos on cats. Carlyn Law is a PR consultant, part-time writer-blogger and leisure photographer who longs for her own organic farm in Italy where her three adopted cats - Jarvis, Ripley and Mimi - can roam free. She relishes travelling, food, cats and nature – usually all at once on her frequent voyages. Christopher Tan is a writer, photographer and food consultant who saw Cats in the West End in 1981 but didn't really enjoy it. He used to be more of a dog person, but now has so many cat-loving friends that he is ambipetstrous. Elgen Kua is a dog lover who has grown to love his cat Tiggi that he and his wife saved from pneumonia. He loves to annoy Tiggi by mock-chasing him round the house and Tiggi returns the favour by chewing on his laces every time he puts his shoes on. Kwok Wai Yow is a graphic designer, part-time netrepreneur, movie buff, photography enthusiast and enjoys exotic travel. She hopes to be able to combine blogging, travel and photography into a paying gig. 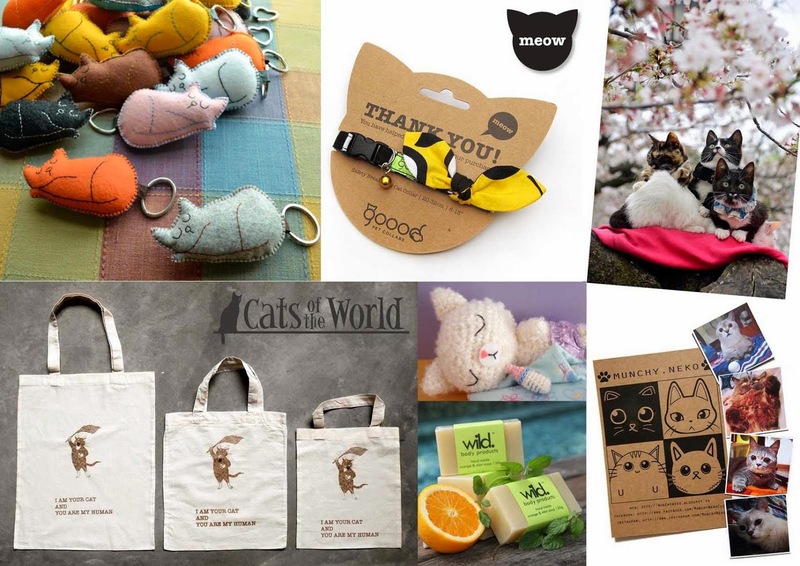 Lucinda Law is an assistant editor for a travel magazine in Hong Kong where she dreams about her 14-year-old tuxedo cat and gallant protector, Jarvis, in Singapore everyday. She is well-adjusted with many friends in HK but likes hanging around cats and is lately feeding feral cats in Victoria Park. Noelle Tan is a cat lover who sadly does not own a cat - yet. That will soon change hopefully as she continues to appreciate the intrinsic elegant beauty of the feline species. This PR Consultant enjoys photography, cooking and travelling. Paul Koh is one half of the painting duo more popularly known as paulMysh. Their unique body of captivating and vibrant cat-inspired art – the Catmasutra Series - has been extremely well-received in Singapore. His fascination for the local feline species has led him to explore the subject from acrylic paints to digitally captured images. The photos were selected from his “non-collectibles” exhibition in 2006, showcasing the beauty and predicament of street cats in Singapore. 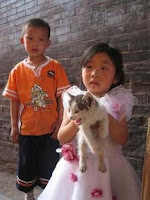 Rebecca Ho is a student who works part-time for Cat Welfare Society. As a strong believer in Trap-Neuter-Release Management, she actively promotes and practices TNRM in the neighbourhoods to humanely control the population of community cats. She loves traveling, reading and basketball. 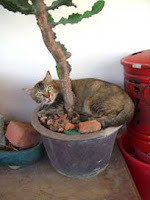 She shares her home with 2 calico cats. Veronica J. Zuzarte loves all God’s beasts and wishes she could keep company with her favourite animals - whales and dolphins – but accepts that dogs and cats make easier-to-cuddle companions. Her dog King and cat Garfield lived to a ripe old age of 17 and 18 years respectively and are still dearly missed.